Leisure and business travellers coming to London are increasingly looking for an alternative to expensive hotels, especially when they are travelling in a group of 6 or more. This is where Carlton Court offers the perfect solution. We have a spacious, luxurious ambassadorial townhouse spread across 4,000 sq.ft available for both a short or long term stay. Our house provides more space than a conventional hotel and value for money because our guests are able to make use of every inch of the house during their stay. Travelling should not be expensive when you are in a new city for leisure or for work. The central location of our townhouse takes care of that. By renting our house, you will be able to easily access public transport networks to travel to and fro. If you face any trouble navigating the city, our concierge will be happy to assist you. Our 5-bedroom townhouse exudes a very homely feel with its plush interiors and comfortable furnishing. The house also has a functional kitchen equipped with state-of-the-art appliances so that you can prepare a meal. High-speed Free Wi-Fi is available in every room of our house and the living room boasts an LCD TV with Full Sky HD for your entertainment. If you are looking for a house to rent in central London, Carlton Court’s townhouse is the one for you. You can use our house as you please - cook, laze around on the sofa, invite your friends or colleagues over for a house party, watch a movie or work. With Carlton Court, you not only enjoy the comforts of your own home, but also our 5-star services. From housekeeping to 24/7 security and complimentary breakfast, we take care of our guests. Leave it to us to make your stay special. 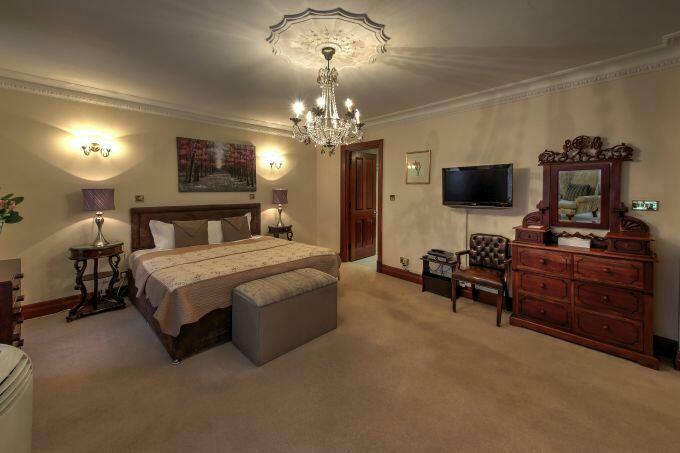 Carlton Court’s townhouse offers more space and privacy than a hotel, as well as, services equivalent to a 5-star hotel. Call us today to satay in our lavish townhouse!